From Black Friday thru Cyber Monday to the End of December FingerprintDoorLocks.com is offering Free Gift Wrapping on residential and commercial locks, even biometric safes. 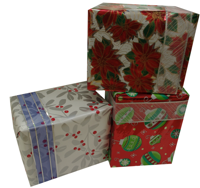 No longer worry about which wrapping paper to use, they will do it for you! Just Check the “Free Gift Wrapping” box when you are choosing your product options before adding the product to your cart at FingerprintDoorLocks.com!